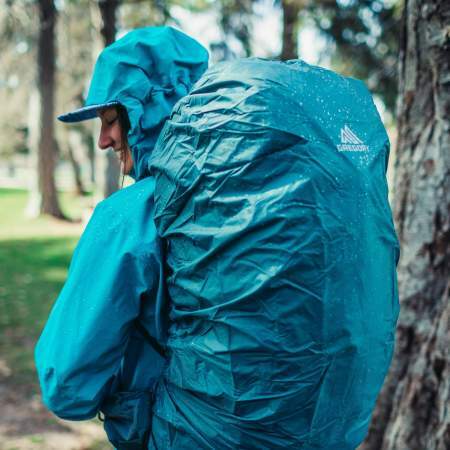 This Gregory Jade 53 Pack Review is about the new 2019 version of the pack which is now with an adjustable torso length and it is better than ever before. Gregory Jade 53L Backpack – Women’s. This pack is available on Amazon, but bear in mind that the previous version is still on Amazon so do not get confused. The new version is in two colors which you see here in the text. The Gregory Jade is a women-specific series of packs that correspond to their Zulu series for men. So here you have 5 packs in total, the Jade 28, 33, 38, 53, and 63 liters capacity, you will see them all below on the bottom. The gender-specific design includes contoured shoulder harnesses, narrower back panel, and pre-curved hip belts that correspond to women’s body shape. This series has been around for a number of years already, but they have reshaped it completely and you have this 2019 version. I have outlined the most important features of these new Jade-Zulu packs in my separate text. The two largest packs in the series share the same basic features and you will see them below. 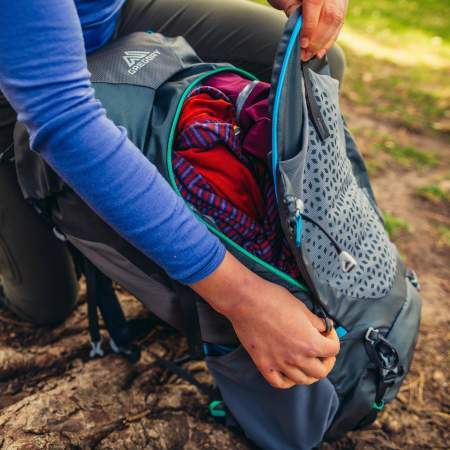 So the Jade 53 pack for women is a top loading pack with a floating lid and collar. But this pack also has a zippered inverted-U shaped large front access to the main compartment, see the picture below. It also has a bottom compartment with a removable divider which is more a shelf with toggles rather than a true divider, so this allows you to access the main department also from the bottom. Note that smaller items can easily slide by the side of the divider and enter in the bottom compartment. 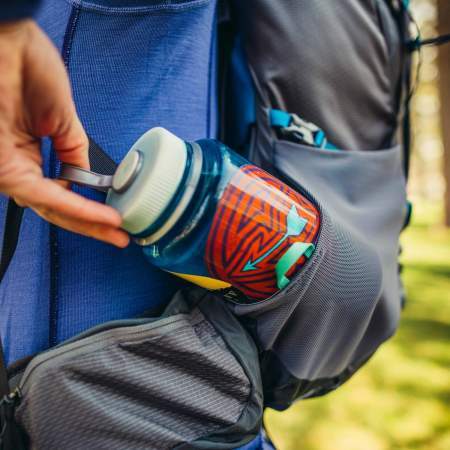 The pack is hydration compatible and you have an internal sleeve where you can store your water reservoir (not included). You also have a rain cover included, shown in the picture below. The pack is built in two sizes XS/S (with 14 – 17 inches torso range) and S/M (15 – 19 inches range), and they have completely changed the suspension system so the shoulder harness is fully adjustable. You have markers on the back (one is visible in the picture below) which will help you to adjust to your optimal torso length. Just break Velcro and move it to the desired position and then press again to engage the connection and the job is done. The adjustable shoulder harness with a Velcro hook and loop connection. The pack is again with a tensioned mesh on the back and this mesh separates the pack from your body, so you have optimal ventilation. This is what they call the Free Float suspension with low profile Open Air ventilation, essentially the air can circulate in any direction, so this is simply excellent. A spring steel perimeter frame provides tension, and you still have a fiberglass anti-barreling cross-stays plus an HDPE panel. The hip belt looks massive but the Free Float system allows it to pivot and flex as you walk. The picture above shows the lower back 3D Comfort Cradle breathable and comfortable system which delivers an ultra-comfortable body hugging and ventilation with its cut-out foam behind the mesh. You have a dual-density EVA foam on the back panel and shoulder harness. The adjustable sternum strap is with a whistle and hose routing, you also have the usual load lifters in place. So what you see here is totally different from the previous version (which is still around). 2 Pockets are in the lid, one with external zippered access and one zippered underneath the lid. There are two large zippered pockets on the hip belt, one is shown below. Two stretch mesh pockets are on the sides. They are with inside-out design and also with dual access, see the picture below. One large stretch mesh pocket is on the front, and it is secured with a top buckle. Dual compression straps are on each side. Dual attachment straps are on the bottom. There are 4 loops on the lid. Dual loops are on the bottom for the poles attachment, paired with bungee tie-offs, see the picture. 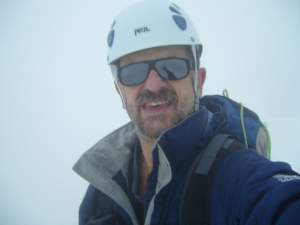 Yet another useful feature is the QuickStow system for glasses attachment on the left shoulder strap shown in the picture below. Weight: 3.38 lb (1.53 kg). – XS/S: 3051 in³ (50 L). – XS/S: 14 – 17 in (35 – 43 cm). Hips fit: 26 – 45 in (66 – 114 cm). Max carry weight: 40 lb (18 kg). – XS/S: 27 x 13.2 x 12 in (69 x 34 x 31 cm). – S/M: 28 x 13.2 x 13 in (71 x 34 x 33 cm). Rain cover weight: 0.2 lb (91 g). 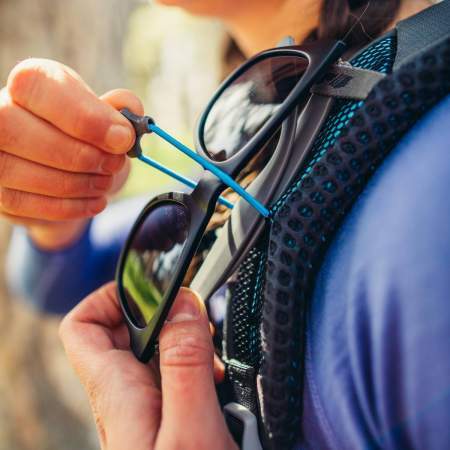 – Pack body: 210D Honeycomb Cryptorip HD Nylon and 210D High Tenacity Nylon. – Bottom 630D High-Density Nylon and 135D High-Density Polyester. – Lining 135D High-Density Embossed Polyester. – Suspension: dual-density LifeSpan EVA foam. Frame: 4 mm alloy steel & fiberglass anti-barreling stay & HDPE. 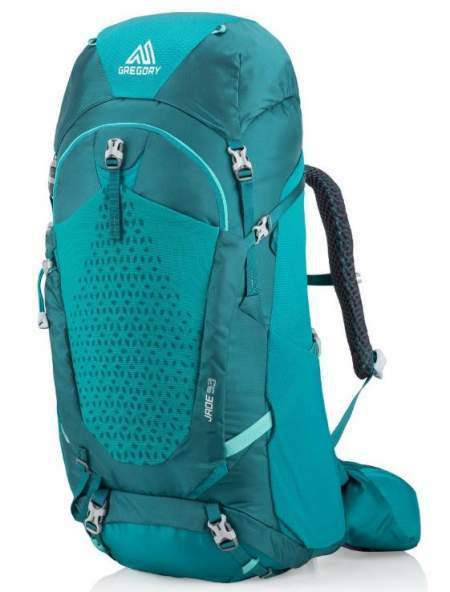 I thought you would love to see how this Jade 53 pack compares with these two top-notch backpacks for women. As you see it is much lighter yet nothing is missing in its design. 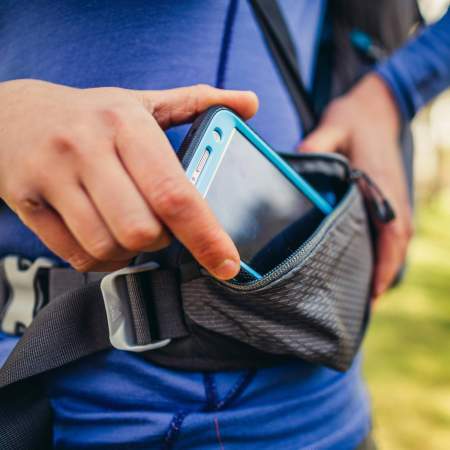 All three packs have tensioned mesh on the back for excellent ventilation. Please follow the links to compare the prices. 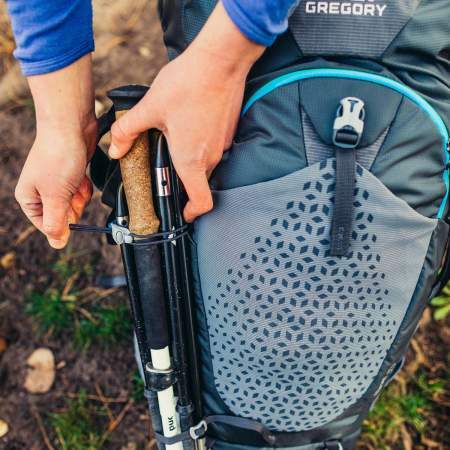 So this Gregory Jade 53 Pack review shows you that here you have a top-quality backpack that is at the same craftsmanship level as the best backpacks for women in this size range. They have improved it considerably by adding the torso adjustability and reshaping the hip belt. 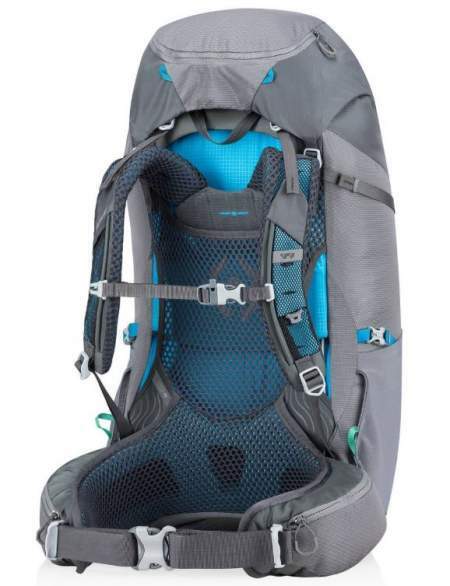 I have included it in my list of best backpacking packs for women. If you need a corresponding pack for men, please check the new version of the Zulu 55. Please note that this is not a sponsored text and I am not paid by the brand. There is a comment box below so please use it in the case of comments or questions. Have a nice day.